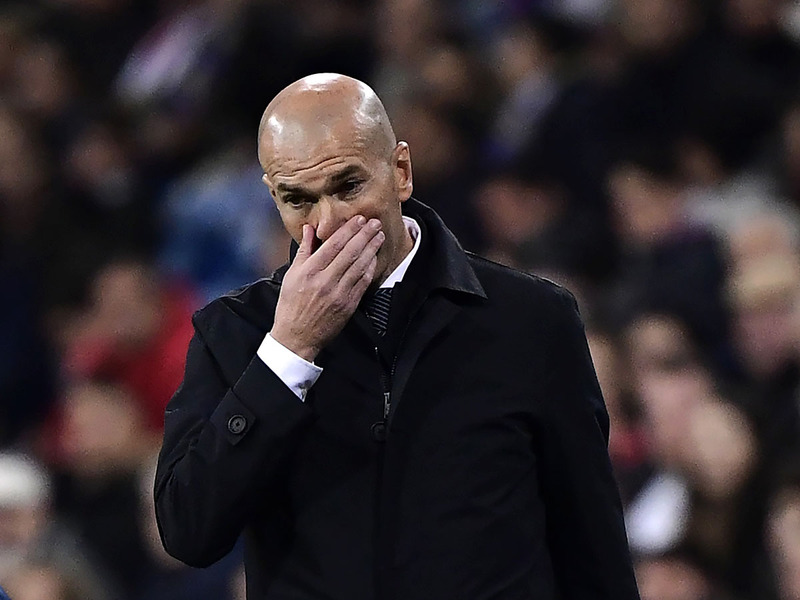 Madrid: Zinedine Zidane dropped Gareth Bale and endured his first defeat since returning to Real Madrid as his side were deservedly beaten 2-1 by Valencia on Wednesday. Instead, Valencia surged to a convincing victory, Goncalo Guedes and Ezequiel Garay scoring once in each half to leave Marcelino’s team within a point of La Liga’s top four. Karim Benzema headed in a late consolation in injury-time. For Zidane, after two opening victories, this was perhaps something of a reality check, except Madrid’s reappointed coach has been sure to insist he is under no illusions regarding the task in front of him. They now trail leaders Barcelona by 13 points, the same margin they were behind the Catalans under Zidane at this stage last season. This was reminiscent of the limp displays that have undone Madrid all season, blunt in the final third, too generous in defence and bereft of either snap or spark in midfield. Zidane’s press conference on Tuesday had been littered with questions about various players’ futures but Raphael Varane and Marcelo both started in defence, as did Keylor Navas, restored in goal ahead of Zidane’s son Luca and the injured Thibaut Courtois. Navas punched a corner to the edge of the box where Guedes bounced the ball off Carlos Soler, stopped it and curled it between the goalkeeper’s right hand and the post. Madrid had barely featured as Bale came on for Marco Asensio in the 64th minute, along with Isco, who replaced Toni Kroos. Bale might have had an equaliser shortly after were it not been for Dani Parejo’s sliding block and then the Welshman sent a sumptous pass to the far post, but it was cleared away from the waiting Benzema. Valencia should have wrapped it up with 15 minutes left as five sprawled forward on the break but Rodrigo miscontrolled while his cutback was flicked first by Gameiro and then Soler, harmlessly into the hands of Navas. If Madrid were more threatening they might have capitalised but they were not and instead victory was secured when Garay heading in Parejo’s cross with seven minutes left. Sergio Ramos had a penalty taken off him, ruled out by VAR, before Benzema nodded in a consolation in added time. It was too little too late.